This Portuguese native found its way into the U.S. via Australia in the mid-1800’s and it has remained one of the most popular and reliable lemon selections available ever since. It displays more heat, cold, and wind tolerance than other varieties. ‘Lisbon’ is just as ornamental as it is useful. The new leaves and flowers are tinged with purple and of course the blooms fill the air with their sweet fragrance. 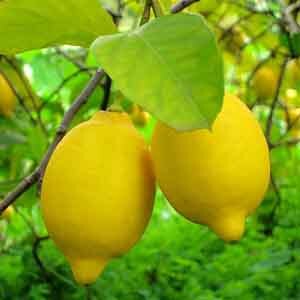 The vibrant yellow lemons are available year round but the heaviest harvest occurs between July and December.